EFFECTIVE 30 June, 2018, I am on an extended hiatus from prepping decal sheets. If this changes, I'll post a notice in this thread. 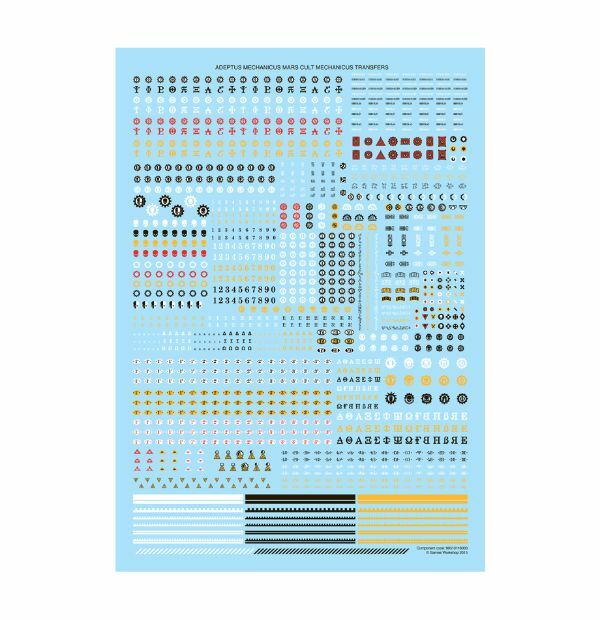 Here you will find a showcase of the various decal sheets I currently have in the works, as well as a listing of projects currently in my work queue. Many of the files I'm producing include multiple layers to allow for different colored logos and/or color backgrounds*. To access the layers in Adobe Acrobat or Reader, go to View -> Show/Hide -> Navigation Panes -> Layers. Click off the 'eye' logo for any layers you don't want to see/print. Note that layers which appear higher in the Layer palette will overprint any layers beneath them, so what you see on the screen is what you will be printing; be sure to turn off any layers you do not want printed. Sheets in the queue will be listed by faction/unit and sponsor(s). 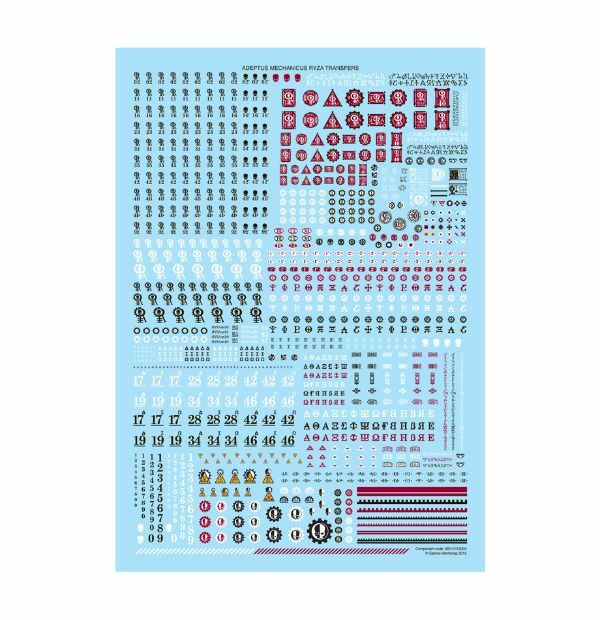 Size permitting, sheets will appear in the B&C Downloads section; if outside B&C size limits, a sheet will be posted to my public Google Drive, sorted into 30K/Horus Heresy and 40K categories. Please note: I do not provide printed decal sheets. For print-at-home instructions, see Ye Olde Decal Project. For a decal printing service in your country, see The Forges of Mars. Edited by Carlson793, 01 July 2018 - 12:13 AM. This one is about done. There are some minor touch-ups here and there, plus I want to create 'tourney shield' versions of the 'heater shield' heraldry so it fits the basic ion shield with minimal trimming (as seen on the White Warden below). Also, after seeing the Legio Gryphonicus Warlord from the WHW opening, I've got a couple more tid-bits I'm thinking of. This sheet also shows what happens when you forget to change from CMYK to RGB color scheme. The Griffon skull on the right is CMYK black, but the darker black wing of the griffon logo left of it is RGB. Edited by Carlson793, 23 May 2015 - 05:39 PM. Legio Gryphonicus/War Griffons (Knight scale) has been uploaded and is awaiting Mod approval. Owing to the large number of outstanding commissions I've taken, I'm going to put a pause on new commissions until I've had a chance to knock a few of these out. This is partly catch up, but also to get sheets to folks who've had requests on the list for a month, and taking into account requests for sheets that just happen to already be on the list. I'll probably open things up again end of the month. No problemo! It's what a community is all about right? As noted above, I'm trying to clear out some of the outstanding work load. With that in mind, a work in...erm, completion: Logan Grimnar's Great Wolf, as commissioned by DaveyBoy74. That... is a lot of Wolves. Well, they appear to be dancing - probably gathered together for a rave. Just need to paint on the glowsticks and white gloves (yes, I'm old school). Auric Arachnus - That carapace/shoulder art is going to be the largest single decal I've prepped - feel sorry for the poor sap who decides to do him! The Living Litany - His banner is going to be way fun! Dyros Kamata - Let's see... I'm going to prep his logos with the knowledge the person applying them will have to destroy them after application. Just amazing work man! Very impressed and looking forward to seeing the completed project! ...And another newcomer to the Imperial Knight fraternity, the Knight Warden Impervious Rex. Very distinctive. The whole sheet is going to look amazing. Oh yeah - this is really coming together for sure. A treacherous thought is as dangerous as a hundred bullets. An open mind is a fortress with its gate unbarred and unguarded. Facts are chains that bind perception and fetter truth. For a man can remake the world if he has a dread and no facts to cloud his mind. Not a bad start at all. Looks like it needs a bit of finessing but seeing as it's just the first pass, I'd say you're striking close to your mark already. I've got a Cerastus Castigator than I plan on creating a unique House background for, so I might be interested in a commission in the near future. Hmm... Looking at email just now. 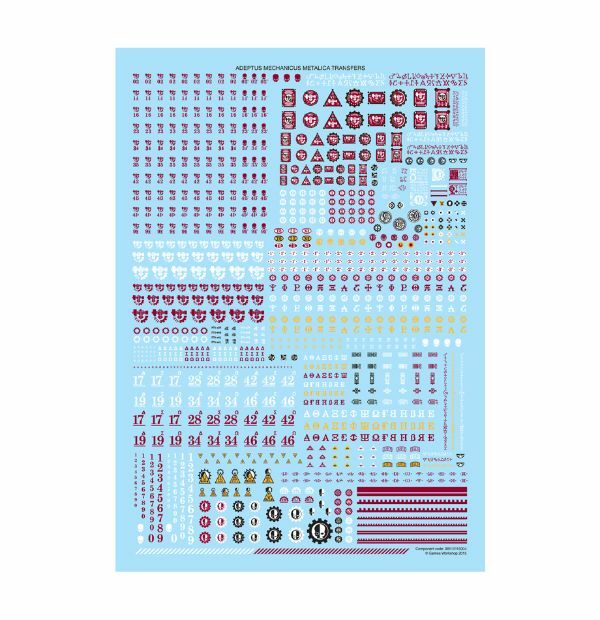 Wondering if Vel'cona and I are gonna need to amend his commission owing to GW posting pre-orders for three Forgeworld logo sheets.